It’s summertime in the City. From now until Labor Day (September 1st for my international readers) it feels as if we have just entered one big, carefree summer holiday season. The 4th of July kicks off the season as America pauses to celebrate the anniversary of our nation’s independence from Great Britain with fun, fireworks and food. Summer also signals the barbeque season. It’s the time of year we love to get our “que” on whether it’s Memphis, North Carolina, Kansas City or Texas style. Barbequing has emerged as the great American past-time and rite of passage. Its roots can be traced back to West Africa and the Caribbean where it was used as a method to prevent spoilage and insect infestation of meat and fowl. I will say that since its summertime, do your civic duty and just get it on – and do it the way you like it. Honestly, there really are no rules. 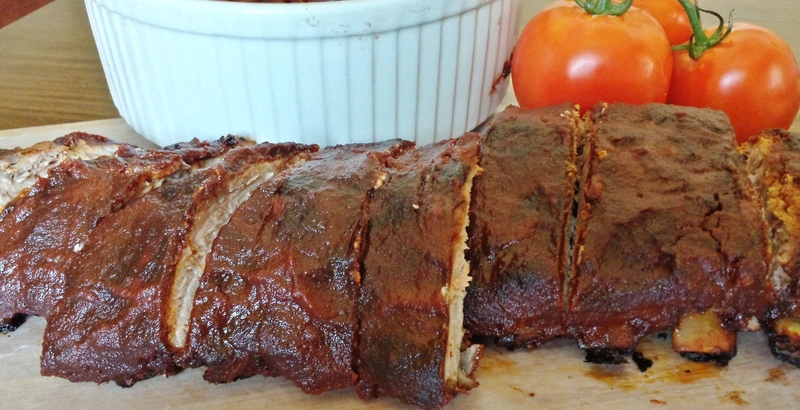 And if you’re not sure how you like your “que” or you’re craving that down home barbeque flavor and want to avoid the fuss of cleaning up and firing up a grill, I’ve got an easy Anytime Ribs Recipe that you can cook anytime, whether its summertime or not. These oven baked ribs are tender, juicy, flavorful and succulent. 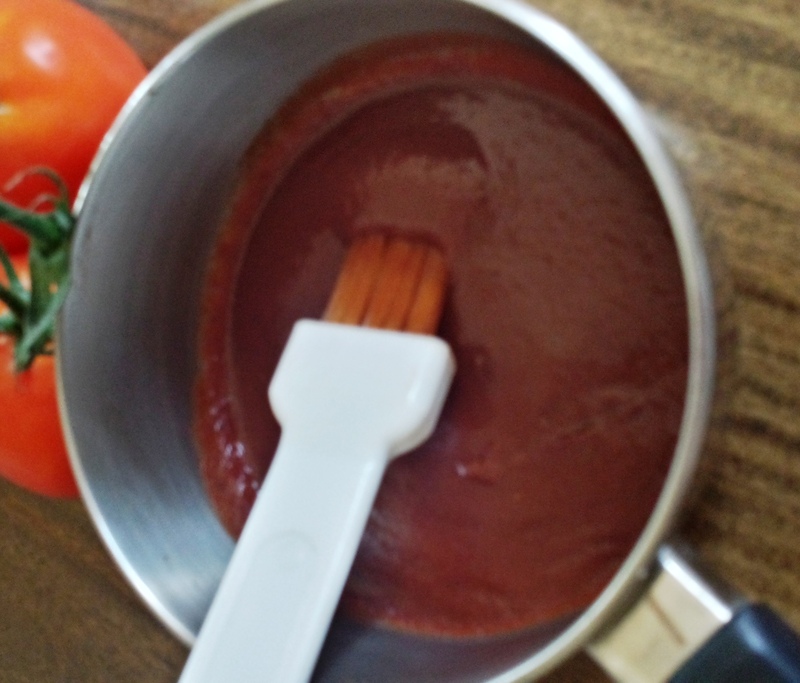 The homemade Have it your way Barbeque Sauce is not too sweet, not too vinegary, not too tangy, not too pungent – it’s just right. Make this your signature sauce and claim your bragging rights. 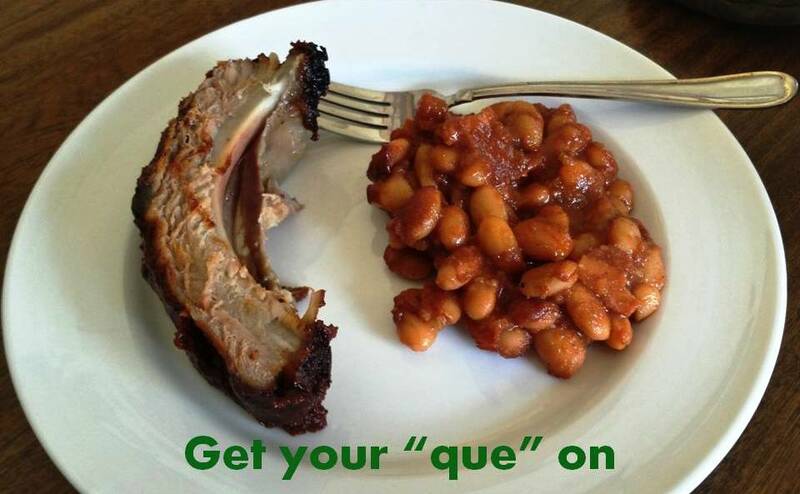 Get your “que” on and have it your way. What are you waiting for? Heat an oven at 350 degrees Fahrenheit. Place meat on a cutting board covered with wax or parchment paper. Lightly pepper rib slab on both sides. Spread Dijon mustard on bony side of slab then liberally sprinkle spice rub on top and press into surface.Turn slab over to meaty side and repeat. Place slab on a foil lined baking sheet and loosely tent with foil. Place baking sheet in refrigerator and let marinate for two hours, 30 minutes at a minimum. Bake 1 ½ hours or until temperature registers 165 degrees Fahrenheit. Remove baking sheet from oven when done. Remove foil. Turn the slab over on bony side and baste with Have it your way Barbeque Sauce. Place baking sheet back in the oven for 5 minutes. Remove baking sheet from oven, turn slab over onto meaty side and baste well with sauce. Place back in oven for 5 minutes. Remove and baste once more. Place back in oven for 5 more minutes. Then remove from oven. Cover the pan with foil and allow it to rest for 15 minutes before cutting. In a saucepan, combine all the ingredients and stir well. Simmer covered, 10 minutes. Remove from heat. Brush ribs, chicken, fish or vegetables with sauce during last 5-10 minutes of grilling or broiling. Leftover sauce can be stored in the refrigerator for a full week. You have a ½ cup of liquid in the recipe to play with. For the ribs in this post, I used ½ cup freshly squeezed orange juice (I have two orange trees in my backyard and use them in everything without apology). I shared the recipe with a friend and she used ¼ cup fresh orange juice and ¼ cup tequila. If you use store bought juices like orange, pineapple, pomegranate or mango, use ¼ cup juice and ¼ cup water. Apple juice does not have to be diluted. For alcohol or liqueurs use ¼ cup, plus ¼ cup of water. Play around with it, be fearless and have fun. It’s sauce your way. This entry was posted in Foodies and tagged 4th of July, apple juice, baked beans, balsamic vinegar, barbeque, barbeque ribs, bourbon, briquettes, Britian, caviar, charcoal, collard greens, Dijon Mustard, gas grill, Grand Marnier, Great Britian, hickory smoke, Independence Day, Kansas City, Kansas City Barbeque, mango, Memphis, Memphis Barbeque, mesquite, North Carolina, North Carolina Barbeque, orange juice, pineapple juice, pomegranate juice, Red Velvet, Red Velvet Gourmet Spice Rub and Seasoning, tequila, Texas, Texas Barbeque, tomato sauce, Worcestershire sauce. Bookmark the permalink.